Curvy vampire Glory St. Clair kicked out the demon that had set up shop in her body, but she had some serious fallout, mainly to her relationship with longtime lover Jeremy Blade. Before Glory can win him back, she has a few issues of the hellish variety to deal with. First, some visitors from the Dark Side want to make her their hell-buddy, and they definitely like to fight dirty. Second, the local vampire council is after Glory to clean up her act, or they'll run her out of town. To pacify them, she has to mentor a vamp fledgling, a computer whiz with a fashion phobia. And to top it all off, Lucifer himself offers Glory the ultimate temptation: work for the devil and he'll make her the size six she's always lusted after. 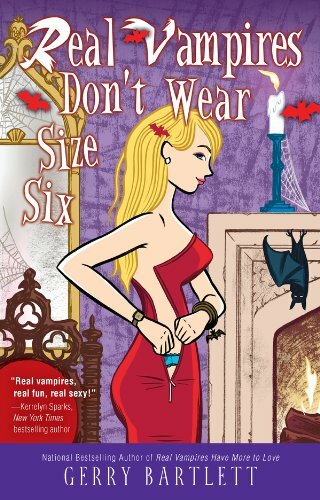 Glory's not sure if she can resist such an offer, but there are a few things the full-figured vamp knows for sure. Somehow, she's going to get back the man she loves, keep the business she needs, and teach her nerdy newbie that size doesn't matter.